The dramatic uprisings that ousted the long-standing leaders of several countries in the Arab region set in motion an unprecedented period of social, political and legal transformation. The prosecution of political leaders took centre stage in the pursuit of transitional justice following the 'Arab Spring'. 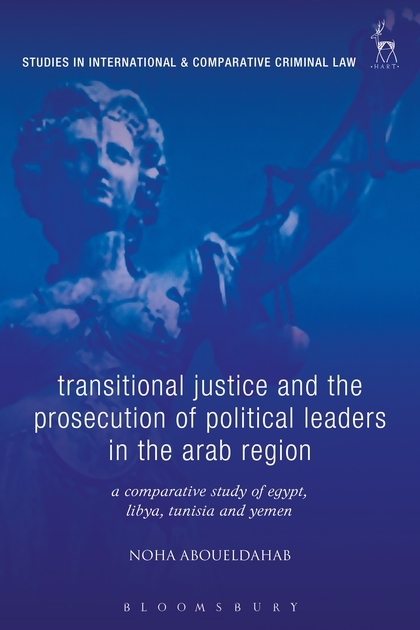 Through a comparative case study of Egypt, Libya, Tunisia and Yemen, this book argues that transitional justice in the Arab region presents the strongest challenge yet to the transitional justice paradigm. This paradigm is built on the underlying assumption that transitions constitute a shift from non-liberal to liberal democratic regimes, where often legal measures are taken to address atrocities committed during the prior regime. The book is guided by two principal questions: first, what trigger and driving factors led to the decision of whether or not to prosecute former political leaders? And second, what shaping factors affected the content and extent of decisions regarding prosecution? In answering these questions, the book enhances our understanding of how transitional justice is pursued by different actors in varied contexts. In doing so, it challenges the predominant understanding that transitional justice uniformly occurs in liberalising contexts and calls for a re-thinking of transitional justice theory and practice. Using original findings generated from almost 50 interviews across 4 countries, this research builds on the growing critical literature that claims that transitional justice is an under-theorised field and needs to be developed to take into account non-liberal and complex transitions. It will be stimulating and thought-provoking reading for all those interested in transitional justice and the 'Arab Spring'. Morocco: Transitional Justice for a Quasi-transition? Noha Aboueldahab is Visiting Fellow at the Brookings Doha Center.